This is a wonderful cherry-picked collection of humiliating misadventures from the enduringly popular Confessional column of Yachting Monthly magazine. 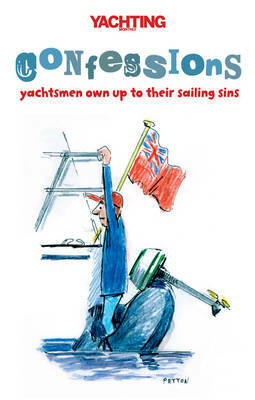 For over 25 years, yachtsmen have clamoured to tell the world about their most embarrassing exploits and their most shameful blunders, and the cream of the crop are collected together here in the hope that the rest of us can learn from their mistakes instead of our own - or at least have a good laugh at their expense! Shipwrecks, strandings, mutiny, getting locked in the lavatory...you couldn't make them up. Counted among the contributors are no less than four former editors of Yachting Monthly, which goes to prove that worse things really do happen at sea! Accompanied by cartoons from the inimitable Mike Peyton, this collection deserves a place at every bunkside.